When Is A Kiss A Kiss? Seems like a simple question, right? But what if the kiss is a snog? A shift? A Yankee Dime? Read about the kiss that isn't just a kiss in I CAN HANDLE HIM. ​Read the full review here! 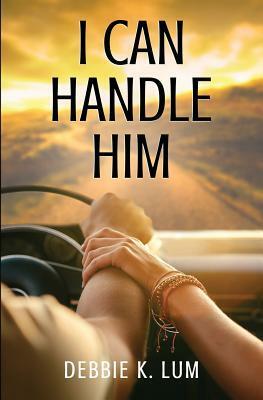 Goodreads Giveaway for I CAN HANDLE HIM ends this Wednesday! I love Goodreads giveaways and I'm up to mischief again! Ten print copies will be sent out Thursday morning to ten lucky readers and you can be one of those lucky ones if you enter today. Click below to enter! Giveaway ends May 09, 2018. City of Tampa's "Tales of Tampa" series features my books...and me! So excited to share this video from the City of Tampa's Tales of Tampa series. Each of my books makes an appearance, including the trailers from I CAN HANDLE HIM and THE DOCTOR, THE CHEF OR THE FIREMAN. Enjoy!